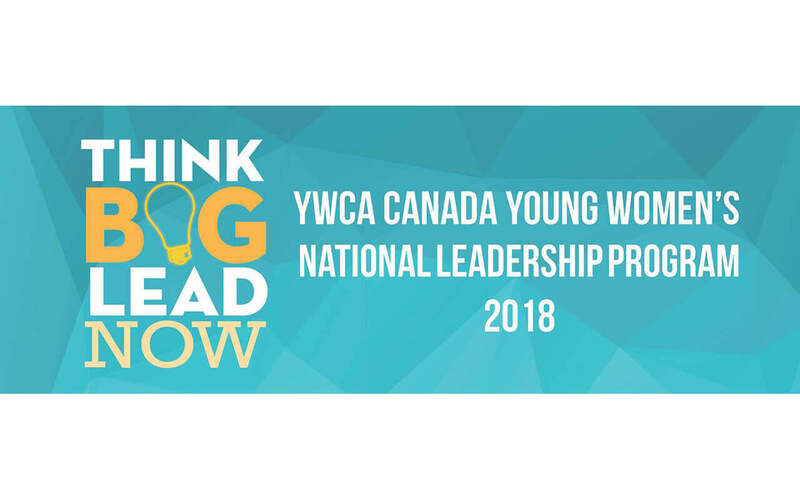 There are only 2 weeks left for young women and non-binary youth aged between 18-25 years, to submit their applications to the YWCA Think Big! Lead Now! 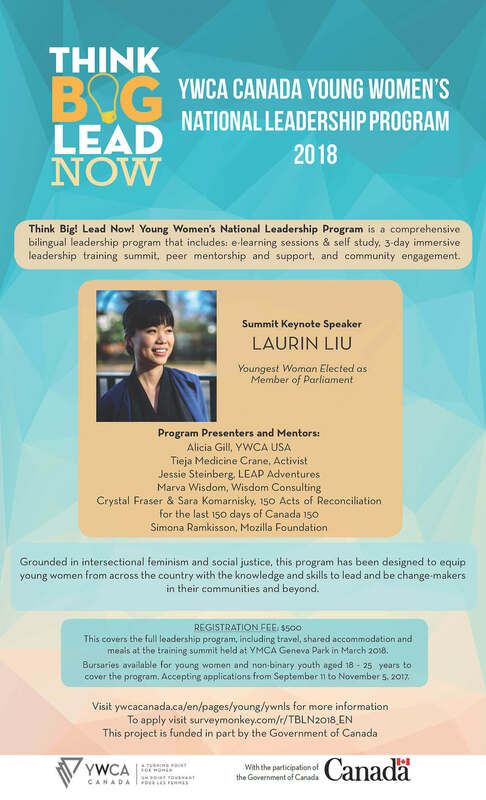 Young Women’s Leadership Program 2018. Think Big Lead Now Young Women’s National Leadership Program is a comprehensive bilingual leadership program. It includes online learning sessions and talks, self-study, peer mentorship and support, and civic engagement activities along with a three-day immersive training and networking summit. YWCA Canada works on the belief that the best method for strengthening young women’s leadership is to provide participants with new experiences that allow them to stretch beyond their comfort level, enhance their skills through practice and enable them to reflect on the experience. Young leaders will develop an understanding of the nature of social change and their capacity to effect change through their actions and work ahead to achieve through the program components described on YWCA Canada’s website. If you are between 18 and 25 years old, and you live anywhere in Canada, you may apply for bursaries to cover program registration costs and travel expenses, including accommodations and meals. YWCA is accepting all applications open from September 11 to November 5, 2017. Please submit your application for the program and for bursaries via https://www.surveymonkey.com/r/TBLN2018_EN. For more information, visit the YWCA Think Big! Lead Now! Young Women’s Leadership Program 2018 page.